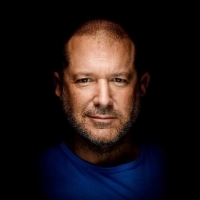 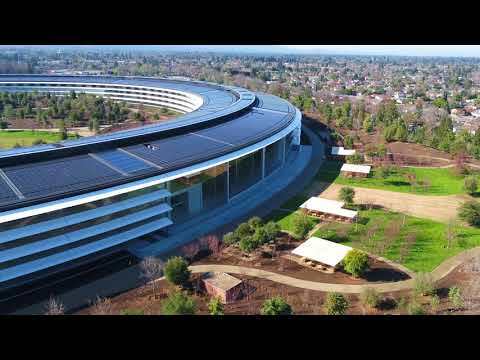 Apple Park is Apple's second campus in Cupertino, California. 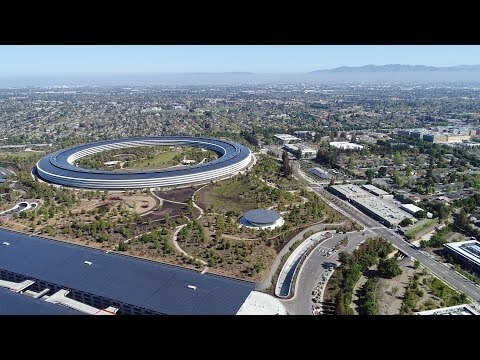 It is often referred to as the "spaceship" campus due to its unique ring-shaped design. 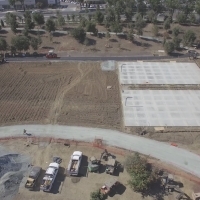 Encompassing 2.8 million square feet and spanning 176 acres, construction on the campus started in 2013 and work was largely completed by the end of 2017. 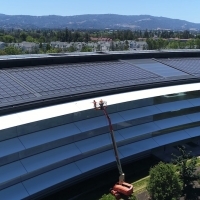 The entire front of the main building features iconic curved glass windows, letting employees look out at the rest of the campus, which will be covered in greenery and an orchard. 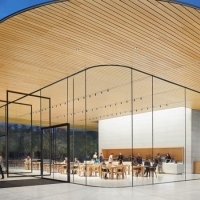 Along with the primary building that will house 13,000 employees, there's an underground auditorium for hosting events, a fitness center, a cafe, and a visitor's center complete with an Apple Store for customers to visit. 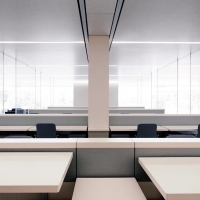 Underground parking is available, and there are also two research and development facilities located nearby. 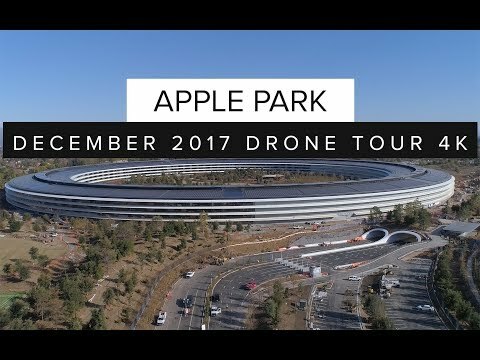 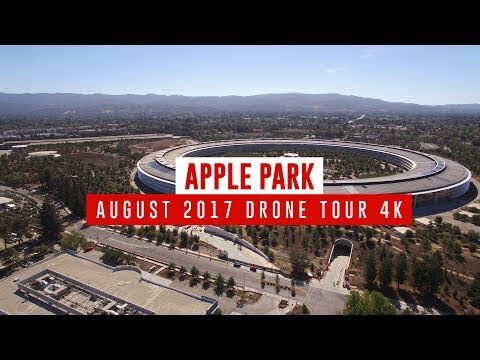 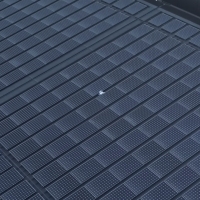 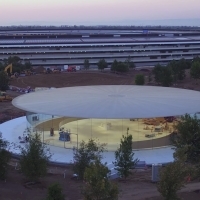 Construction on Apple Park is nearing completion and Apple is putting the finishing touches on the Steve Jobs Theater where next week's iPhone-centric event will be held, according to a new video shared this evening by drone pilot Duncan Sinfield. 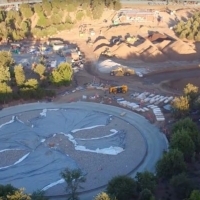 Sinfield's video offers up a close look at the now-finished theater and it depicts landscaping progress at the campus, both inside and outside of the ring-shaped main building. 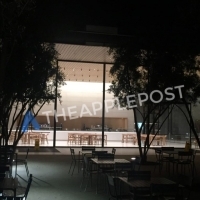 The theater is a 20-foot tall glass cylinder that overlooks the main campus building and is surrounded by greenery. 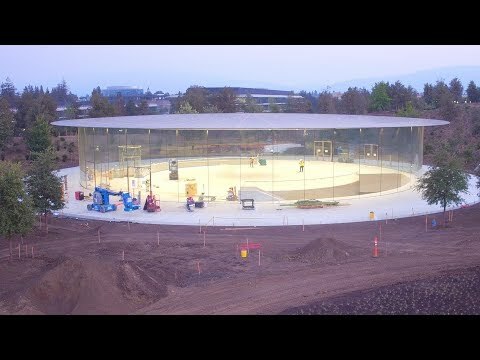 It boasts the world's largest freestanding carbon fiber roof and spans 120,000 square feet with an underground auditorium area that seats 1,000 people. 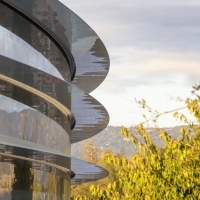 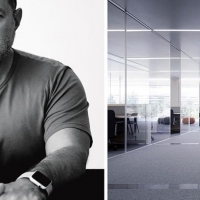 Apple named the theater in honor of late Apple co-founder and CEO Steve Jobs, who envisioned the design for Apple Park before his death in 2011. 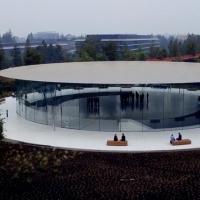 Apple's iPhone keynote, which takes place on Tuesday, September 12, will be the inaugural event at the Steve Jobs Theater. 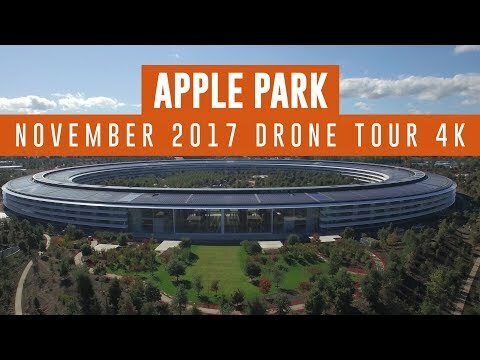 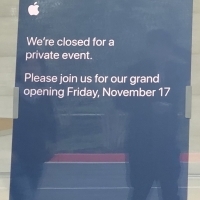 Apple announced Apple Park as the location for the event when it sent out media invites last Thursday.